Are you interested in genealogy? If so, you’re not alone. Experts list only gardening ahead of genealogy in terms of popular hobbies in the United States. It’s also the second busiest category of website. I developed a fascination with family history decades ago. I’m also interested in the broader study of immigrant history, particularly that of people who traveled to Wisconsin and the upper Midwest in the 19th century. That interest led me to create the Chloe Ellefson Historic Sites mysteries. Protagonist Chloe works at the same outdoor ethnic museum where I once worked, Old World Wisconsin. Many of the books feature historical plot strands, usually presenting immigrants from different European countries—Norwegian, Swiss, Danish, Polish. 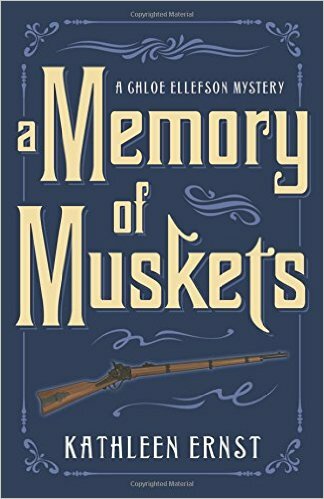 The newest, A Memory of Muskets, is the most personal for Chloe yet. Her guy-friend, cop Roelke McKenna, has just purchased his old family farm. She’s agreed to move in. There’s just one problem: Chloe has the ability to perceive strong emotions that sometimes linger in old buildings, and there are disturbing vibes in what was once the cabin where Roelke’s German-American ancestors made their home. She’s pretty busy at work, planning Old World Wisconsin’s first Civil War reenactment—and trying to help identify a reenactor found dead at a German-American farm restored to 1860. Nonetheless, she’s determined to discover what caused the distress for Klaus and Rosina, the first of Roelke’s ancestors to arrive in Wisconsin. Readers discover the challenges faced by all settlers who went through the enormous upheaval of immigrating to America, only to see their new homeland erupt in Civil War. Working on family history has rewards and challenges. It’s exciting to find a new name to add to the tree. On the other hand, the farther back you go, the less likely it is that you’ll find any stories behind the name. And sooner or later, any branch on the tree will simply peter out. 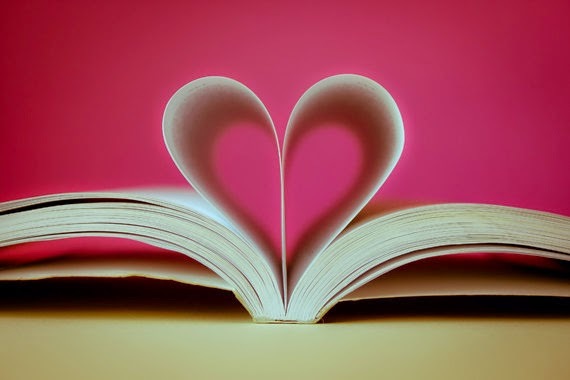 I write fiction in part to satisfy the need to find the stories behind the names. I write mysteries because the quest to solve a murder mirrors perfectly the quest to solve an historical puzzle. The past often informs the present, and Chloe’s historical research skills are as important as Roelke’s investigative abilities. Are you involved in family history? What discoveries have you made? My ancestors come from Tennessee. Sounds like you have an interesting family tree. My ancestors came from Germany, Poland and the Netherlands. My first ancestors in North American came from the Netherlands. I've always wanted to go. Maybe someday! My ancestors come from Eastern Europe. Have you had a chance to visit? My ancestors come from England and Norway. I have enjoyed finding out more about them as the years go on. Thanks! My pleasure! I've had fun learning more about Norwegian heritage as I write the Chloe Ellefson mysteries. Thanks for the chance for this great giveaway! My mother recently received a packet of information about our ancestors from her brother. He even sent off his DNA. I can't wait to go through it. It goes back to the 1600's. I imagine you'll find all kinds of interesting things from the DNA test. I'd love to do that some day. My ancestors came to America on one line from England in 1640 to Massachusetts my with my line being born at Boston in 1643. Awesome. I have one line that came from the Netherlands in the 1600s. Don't you wish you could go back in time and watch them arrive? Just recently found out that my family came from Russia. Had no idea! Hi Roxy - very cool! Graduate of Watertown high school..too much family mystery to know origins. Kristin - in my new book, a couple of scenes are set in Watertown! One of the themes is how little we can truly know about our ancestors' lives. I'm from Beaver Dam Wisconsin- and I love old world Wisconsin! I live in Iowa now- and this summer by 3 little boys had their first visit to Living History Farms. I'm looking forward to taking them back next summer- the perils of having a history-teacher mother!